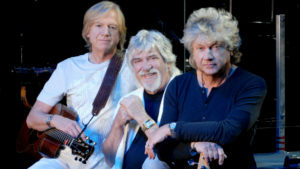 Connecticut Public Television > Enter to Win Tickets to The Moody Blues at the Toyota Oakdale Theatre! Enter to Win Tickets to The Moody Blues at the Toyota Oakdale Theatre! The Moody Blues are coming to the Toyota Oakdale Theatre on Sunday, July 9 and will be performing their iconic album Days of Future Passed in its entirety + other classic hits. To enter for a chance to win tickets to the show, fill out the entry form below.